Play9 Days are on their way to Poppy Hills Golf Course in Pebble Beach and Poppy Ridge Golf Course in Livermore wine country. Beginning tomorrow (May 9) through October 9, both venues will host Play9 Days on the 9th day of each month starting at 5 p.m. There’ll be a weekly Skins buy-in and a season-long running competition with a party to celebrate following the last event on October 9th. Prizes will also go to each weekly winner. So what are Play9 Days? 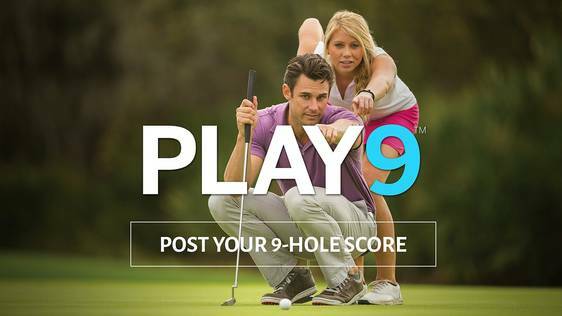 Initiated in 2014 by the USGA, the PLAY9 program actively educates and rallies golfers and non-golfers alike around the concept of the nine-hole round as an important, yet simple, solution to address busy lifestyles and everyday lives. PLAY9 is critically important to the game and its health in that it promotes a time-friendly option to engage with the game. As we all know, finding the time to get in 18 holes can at times be a challenge. Welcoming to beginners and juniors, another bonus of playing nine is that scores are eligible for posting and handicap purposes. Oh, and playing nine costs less. So what are you waiting for? Get out and be a part of Play9 Days!